Through The Craft Room Door: Just Released! 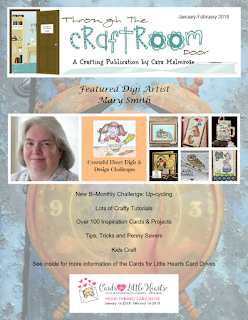 The January-February issue of Through the Craft Room Door has been released and can be found in the Subscribers Only Area of the Website. Happy New Year and welcome to a new issue of Through the Craft Room Door! 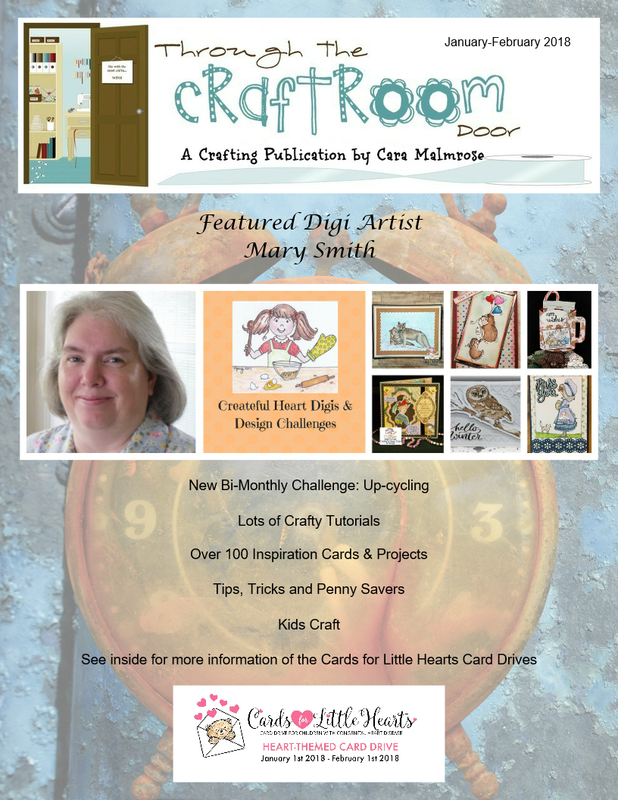 This issue, our Featured Digi Artist is Mary Smith of Create-ful Hearts Digis & Design. Mary, along with her partner husband opened their store in February of 2017 and have developed quite a following with their Facebook page and blog challenge. The special challenge for January-February is up-cycling … We’d like to see something that would normally be thrown away turned into something useful! We also have 100plus inspiration card/projects for your viewing pleasure and our Designers have created an array of interesting and informative tutorials from jewelry making to mix media techniques that even a beginner can do with confidence! If you are not already a subscriber, $18.00 for the first year is a great deal as you receive access to back issues, including videos and Digi images. Cost is $12.00 for every year after that. Please put "Magazine winner" in the subject line.